سخنران هشتمین رویداد صبح خلاق در شهر تهران یک خواننده است. خواننده‌ای که بیش از هرچیزی به اشعار قوی و متفاوتش شهرت یافته. دوست‌دار طبیعت و حیوانات و زاده‌ی روستاست. سخنران موضوع جهانی “زمینه” در تهران کسی نیست جز پرواز همای. آقای همای در شرایط و بستری نه چندان مهیا، فعالیت جدی خود را عرضه کرد و با اقبال چشم‌گیر جامعه مواجه شد و البته کم‌اقبالی بسیاری از فعالان عرصه هنر و بسیاری از مسئولین وقت. اما نه تنها از فعالیت‌های جدی و حرفه‌ای خود دست نکشید که آن‌ها را گسترش داد و کنسرت‌های متعددی در سرتاسر دنیا اجرا کرد و مجددا فعالیت خود در ایران را از سر گرفت تا زمینه‌سازی باشد برای پیشرفت جوانان و علاقه‌مندان دیگر. Our speaker for our eight CreativeMornings event in Tehran is a singer. A singer whose fame is more than anything because of his strong and different lyrical content. He’s a lover of nature and animals and grew up in the countryside. 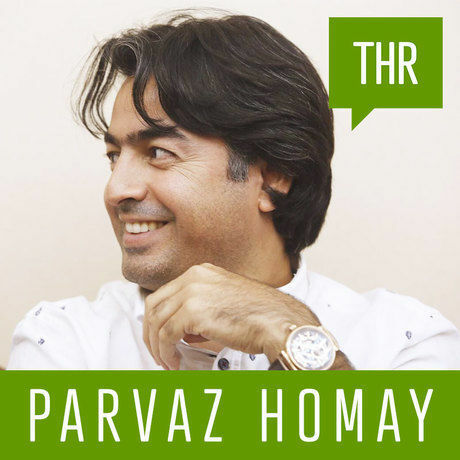 The speaker for the global subject of this month, “Context”, is none other than Parvaz Homay. Mr. Homay started his musical career in not too great of conditions and came across eye-catching reception, but also he came across many cold welcomes by many of the activists in the art field and many of the people in charge at the time. But not only did that not stop Parvaz from pursuing his serious and professional career, but it only helped to grow his reach and help him put on many concert all across the globe. He then began his career as a musician in Iran anew to help pave the way for young artists.